Douglas Timmerman was appointed president of auto finance in the spring of 2018. In this role, he is responsible for developing strategy and driving performance for the company's auto business, which offers a full suite of innovative auto finance products and services. He is also charged with leading the effort to diversify and expand the company’s dealer network and drive digital innovation. Previously, Timmerman had been president of Ally Insurance since 2014. Timmerman had responsibility for all insurance operations, which included consumer products such as vehicle service contracts, maintenance contracts and GAP coverage as well as commercial property and casualty products for dealers. Doug’s 31 years at Ally, spanning leadership positions across the auto finance and insurance businesses, make his understanding of this dynamic industry unparalleled. 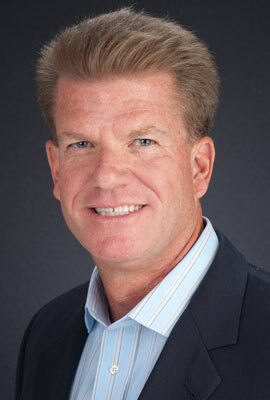 Prior leading the Insurance business, Timmerman was vice president of auto finance for the southeast region in Atlanta. In that capacity, he was responsible for sales, risk management, and portfolio management for more than 4,000 dealer relationships across 11 states. Since joining Ally in 1986, Timmerman has held a variety of leadership roles in different areas including commercial lending, consumer lending, collections, sales and marketing. His experience also includes a broad geographical reach, holding assignments that have touched nearly every state. The Nebraska native began his career with Ally shortly after earning his master’s degree in business administration from the University of Nebraska. He also holds a bachelor’s degree from the University of Nebraska. Timmerman supports several organizations and research efforts associated with finding a cure for Type 1 diabetes. He is an active volunteer and supporter of Children’s Hospital of Atlanta and the Juvenile Diabetes Research Foundation.